We recently extended our appreciation to our Customer Service department for all their hard work. With a little… okay a LOT of chocolate… we managed to break them away from the phones for a few minutes to take this picture. You can see they are keeping themselves warm with some hand-knitted scarves that were made by one of our fabulous customer service team members. This time of year is exceptionally busy for them, as it is for many people who work in customer service. Not only are they working hard to answer your questions, but they’re often helping new customers, too. Our customer service team loves this time of year, though, because they enjoy listening to Christmas music. Our customer service team’s favorite songs include Happy Xmas (War is Over) written by John Lennon and Yoko Ono, Believe by Josh Groban from the movie The Polar Express, two selections from The Nutcracker ballet written by Peter Tchaikovsky, Carol of the Bells, the charity Christmas song Do they know it’s Christmas? and My Favorite Things from the musical Sound of Music sung by Julie Andrews. As we move closer toward a bustling holiday season, our customer service team hopes that everyone enjoys listening to (or playing) your favorite holiday songs — no matter what style of music or song appeals to you. What Christmas songs do you like listening to? 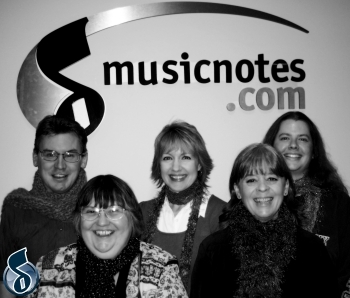 Are there any favorite Christmas songs that you share in common with our customer service team? And Happy Holidays to all of you! I’ve used Customer Service and they do without a doubt ROCK!